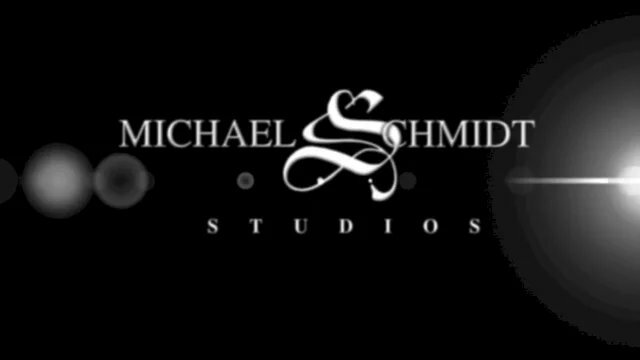 Michael Schmidt is a wardrobing and jewelry designer who has garnered the attention of the world's top entertainers, stylists, photographers and directors for his expertise with a variety of innovative materials and techniques. Known for creating elegant yet edgy clothing and accessories, his list of clients includes Madonna, Cher, Beyonce, Lady Gaga, Rihanna, Fergie and the Black Eyed Peas, Janet Jackson, Deborah Harry, Dita Von Teese, Dolly Parton, Tina Turner, Steven Tyler, Ozzy Osbourne and many others. His works have appeared in books and photographs by such renowned photographers as Annie Liebovitz, Herb Ritts, Greg Gorman, Steven Meisel, Francesco Scavullo, Steven Klein and Mathew Rolston, as well as innumerable world tours, album covers, music videos and major motion pictures. Michael is honored to have had numerous pieces displayed at many prestigious museums. His razor blade dress, designed for Deborah Harry of Blondie, was on display in the 'Rock Style' exhibit at the Metropolitan Museum of Art's Costume Institute in New York City. His articulated 3D-printed gown, created for burlesque icon Dita Von Teese, has been displayed at numerous institutions including LACMA, the Museum of Arts & Design in NY and is currently on view at the Sydney AUS Museum of Arts and Applied Sciences. A number of his pieces are on permanent display at the Rock and Roll Hall of Fame and Museum in Cleveland, Ohio. In 2010 the Pasadena Museum of California Art honored Michael with a career retrospective. 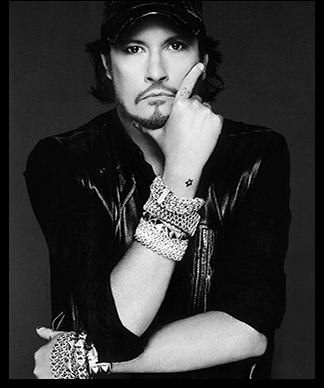 Since 2001 he has designed an exclusive collection of jewelry, bags, clothing and furniture for the international luxury goods firm Chrome Hearts. He enjoys on-going collaborative relationships with several other designers as well. Michael has made several forays into the world of sculpture and interior design, including the installation of a massive bamboo 'Wave' for the restaurant Simon at Palms Place Casino, Las Vegas. Another creation is a macramé rope curtain for the lobby of the Ace Hotel in Palm Springs, CA, woven from more than a mile of white cotton rope. Past projects include the design of the VIP rooms of the Palladium nightclub in New York City, featuring black leather floors upon which silver studs spelled out the lyrics to the classic Iggy Pop song 'Nightclubbing' in Braille. In the fall of 2012 Michael unveiled a large-scale knotted rope construction for the Rotunda Bar of the Whole Foods emporium in Newport Beach, CA. Recent projects included installations at Ace Hotels in Los Angeles and New Orleans. In 1991, Michael Schmidt was nominated for an Emmy Award for Costume Design for a Variety or Music Program, "Cher... At The Mirage" CBS. Tour wardrobing continues to be a specialty of Michael's studio, which created nearly 300 pieces for Madonna's 2012 MDNA World Tour, and numerous pieces for her 2015 Rebel Heart tour, his fifth with the artist. He contributed designs to several other recent tours including those of Janet Jackson, Beyoncé and Lady Gaga. Michael Schmidt Studios is pleased to introduce its most recent jewelry and bag collections, as well as several new fashion pieces. These incorporate many of the unusual elements and techniques honed for Michael's celebrity clientele. The pieces, available in our online store as well as in select boutiques, utilize innovative construction methods requiring that each piece be hand-crafted by artisans in his Los Angeles studio.